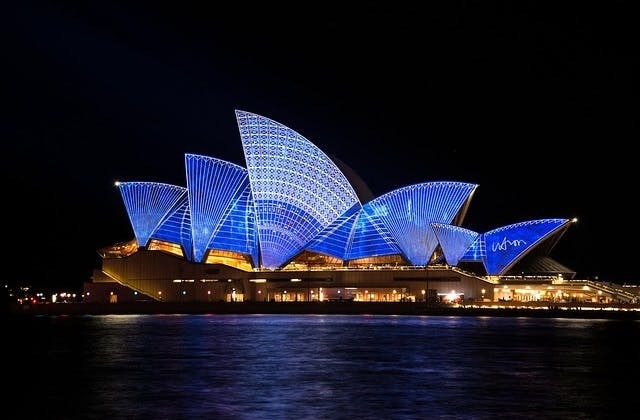 With two of Australia's most iconic structures - the Sydney Harbour Bridge and the Sydney Opera House – making up part of its skyline, Sydney is perhaps the most well-known of all cities in the country. The capital of the state of New South Wales, it is a vibrant city and home to much of the country's banking, finance and technology industries. With many multi-national companies based there, Sydney has a strong economy which is reflected in the city's fast pace of life. Visitors to Sydney will certainly notice this on arrival which is perhaps why the city is ranked among the top fifteen cities across the globe for tourists. Almost three million tourists visit Sydney each year marking it out as the top destination in all of Australia. Sydney boasts many places that tourists can enjoy getting to know, including some exceptional fish restaurants along the harbour side. In addition to the opera house, Sydney Tower is well worth a visit as the second tallest observation point in the southern hemisphere. There are also two excellent parks and a number of museums and art galleries that rival anything in Australia. A short distance from the city centre are Sydney's long stretches of sandy shoreline which includes Bondi Beach, popular among surfers. Another great natural wonder near to the city are the so-called Blue Mountains of New South Wales which are on the list of many visitors' itineraries. In the central part of the city, Sydney is dominated by office blocks which have a contemporary look in many cases. As well as its modernist structures, Sydney has a number of older and historic buildings in the central business district. These include buildings such as the Queen Victoria Building, a nineteenth century shopping centre that is split over four storeys and which houses some of the city's most exclusive boutiques. Visitors can also experience Australia's famous wildlife at Taronga Zoo, located on the shores of Sydney Harbour, where some 340 species of animal are housed in a 52 acre site. Like many of the superb attractions in the city, the zoo is easy to reach by foot or public transport. To Sydney, the slowest flight is 835 hours on Finnair, going through Singapore, Bangkok, Helsinki. The closest hotel to Sydney airport is The Rydges Sydney Airport Hotel which is at 8 Arrival Court, Mascot . The UTC offset for Sydney is 36000.